This is a book I probably wouldn't have picked up had I just seen it on a shelf at a bookstore. While I love history, I tend to like my European history to be pre-Viking for the most part. But I always seem to find myself curious about books like this when I start seeing the trailer for their movie on TV. So here we are. Judging by the 20 something books in this series, it has a lot of fans. I'm just not one of them. The language is too stiff and formal, making the book hard to get into. 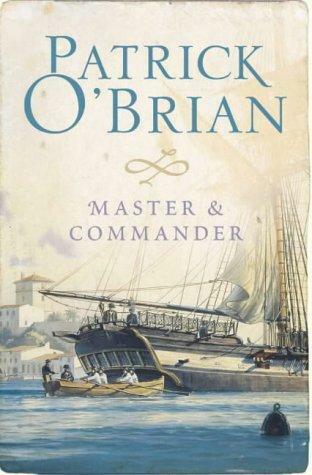 The main character, Captain Aubrey, bothered me within a few chapters. I mean what kind of naval captain goes whining all around town about the lack of crew on his ship without even checking the truth of that report, or touring the boat and meeting the crew first? I was mildly curious to find out exactly what kind of history lay between the new ship's surgeon and the sailor James Dillon, but not enough to keep reading past 100 pages (my customary cut off point for a bad book).